Often marketed as a healthy dairy product, yogurt is not necessarily good as it contains free or added sugars and fat -- even more than soft drinks and fruit juices, thus increasing the risk of obesity, a study has claimed. The findings, led by researchers from Britain's University of Leeds, showed that yogurt products, particularly organic yogurt and those marketed towards children, contain high sugar levels. In the study published in the journal BMJ Open, researchers analysed over 900 types of yogurt and yogurt products and found that fewer than one in 10 (9 per cent) qualified as low sugar -- almost none of which were in the children's category. This is "concerning" given the rise in childhood obesity and the prevalence of tooth decay among young children, the researchers said. "While yogurt may be less of a concern than soft drinks and fruit juices, the chief sources of free sugars in both children and adults' diets, what is worrisome is that yogurt, as a perceived 'healthy food' may be an unrecognised source of free/added sugars in the diet," said J. Bernadette Moore from the varsity. Apart from products in the dessert category, organic yogurts were found to have the highest average sugar content -- roughly 13.1 grams per 100 grams. By and large, average fat content was either below or just above the low fat threshold. "Not all yogurts are as healthy as perhaps consumers perceive them, and reformulation for the reduction of free sugars is warranted," the researchers said. According to co-author Annabelle Horti from the varsity: "Changing the public desire for 'sweeter' yogurts may be a real challenge when it comes to reducing its sugar content. 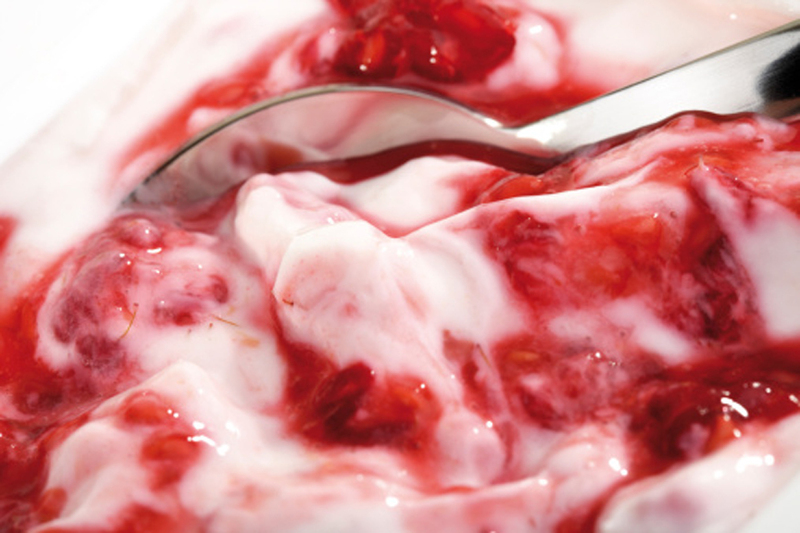 In general, consumers' liking for yogurt is often correlated with sweetness. "Helping people to understand the quantity of sugar that is in their yogurt and its possible ill effects on health may go a long way to smoothing the road for when the sugar is reduced," she noted.